If you want to head North into Florida's famous Fort Lauderdale before heading South then the Ultimate Air tour should be your choice. Whether you're a local or visitor you will experience, explore and see all of South Florida's landmarks and Destinations. 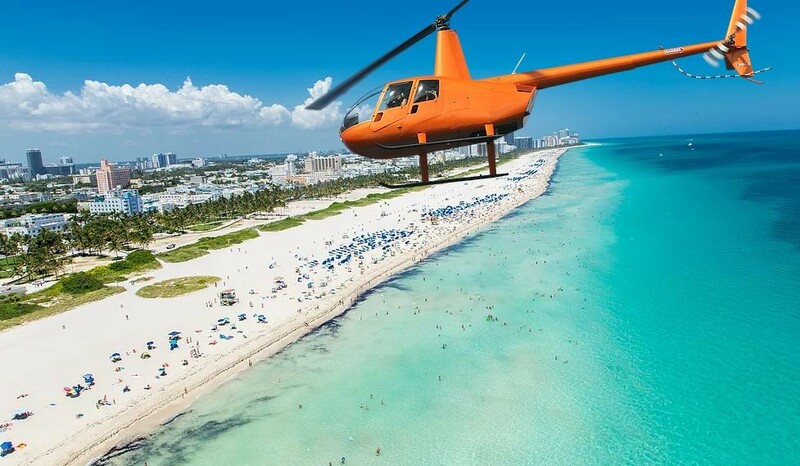 This tour will have you flying along side the buildings of Downtown Miami and the million dollar condo's on Brickell Key, Miami's Stiltsville to Fort Lauderdale Beach, Las Olas Blvd and Pompano Beach. This narrated, unforgettable Miami Ultimate Air Tour is the perfect choice for locals or visitors that want to see South Florida's big picture!